If you forgot your iCloud email password, it doesn’t mean it’s the end of the world. Nope, it’s not! Neither does it mean you won’t have access to your Apple account and emails again. Truth is, resetting your iCloud password if you follow some few steps and make use of the options you will be provided with. When you forgot iCloud email password, here’s the solution for you. This is one of the main reasons why this unlock tool stands tall amongst other option. Because of its safe, secure and easy features when it comes to unlock Apple ID password. That’s iMyFone LockWiper, which can help you unlock your iCloud email password easily without knowing the password. The Features that come with this tool are just what you need to solve that dilemma you’ve been having over solving your iCloud account issues (in this case, forgetting the iCloud email password). It’s a complete self-service program to solve iCloud password issue in only several steps. Unlock iCloud account email password without knowing the password of it. Regain the whole control of your device and enjoy all the features of iCloud service. Compatible with all iOS versions of iPhone, iPad and iPod touch. Step 1. Install and Launch the iMyFone LockWiper on your computer or Mac. Step 2. Choose the mode “Unlock Apple ID” and click on “Start to Unlock” tab. Step 3. What LockWiper will do is to immediately start the unlocking process on your device. This usually takes a few seconds. Step 4. 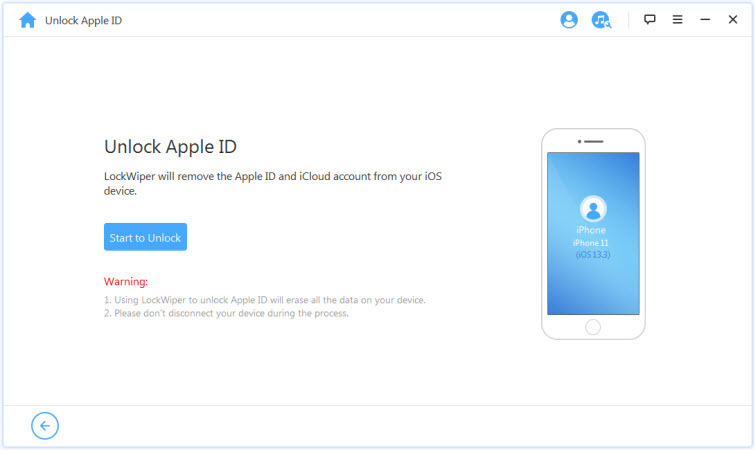 Doing this will help you remove the Apple ID and iCloud account which are both presently connected/associated to your iPad, iPod, and iPhone. Once this is done, your iDevice will restart. 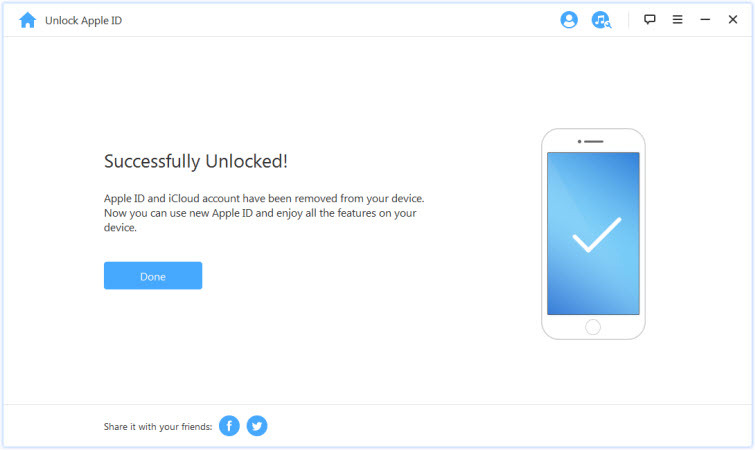 Once the whole process is over, the iCloud account and Apple ID will no longer be connected to the device. 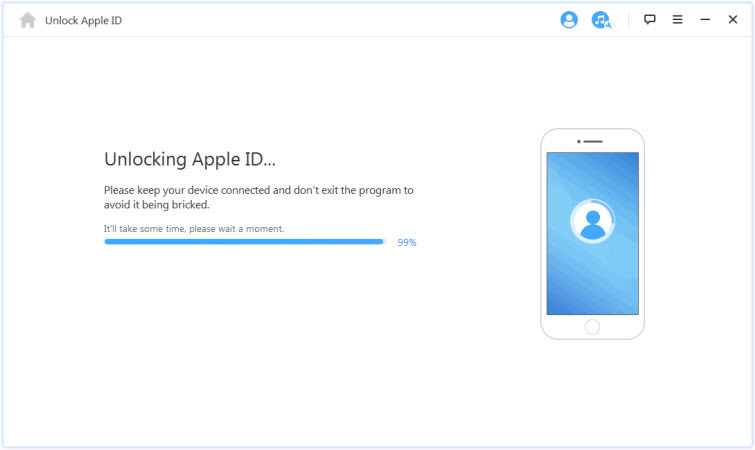 Setting up your device using a different Apple ID or open a new one. However, please make sure that your device is already activated. Step 3: Input the passcode to your iDevice. Step 4: The last step is to tap the “Change” button. This will change the Apple Password. When you forgot your iCloud email password, you can use a recovery key to reset your password. Once you’ve set up your Apple ID using the two-step verification, it will appear on your screen. Step 1: The first thing to do is to input the Recovery Key. The Recovery Key is saved on your computer the first time you set up the two-step verification or have it printed. Next is to click the “Continue” button. Step 2: You will receive a text message on your iPhone from Apple. Now, input the code into the screen on Apple’s Webpage. Click the “Continue” button. Step 3: You should set up a new password on the Reset Password page on the Apple’s website. Step 4: Click on the Reset Password button to complete the iCloud Mail Password resetting process. In case you choose to use the security questions, you should first choose to get an email while selecting what information you want to reset. You will be taking to a page where you’d be asked to provide your answer to the question. Step 1: Tap on the “Continue” button to go to the page where you’d be shown the security questions. Step 2: Once you’ve answered the question, you can then click on the “Continue” button. Step 3: The reset password page will allow you to enter a new password for iCloud Mail. Step 4: You will do it twice to confirm the password you’ve selected. If you forget your iCloud email password, you don’t have to strain yourself. Things happen, forgetting your email password is one of them. But with these options, you can now change the password with ease.